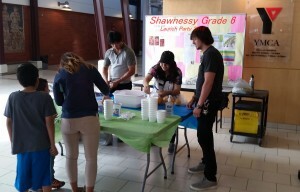 University of Calgary nursing students are partnering with the Saddletowne YMCA and hosting an event called “Big Plans?” that will raise awareness about career options and pathways to help students in grades 6 to 9 achieve their goals. This event will be taking place at the Saddletowne YMCA on March 18th, 2016 starting at 4:00 pm. There will be games and activities for grades 6 to 9 that highlight the importance of post-secondary education and career planning. Refreshments will be provided. New ways to register for your Grade 6 Membership at the Gray Family Eau Claire YMCA! Now registering for your FREE Grade 6 Membership has never been easier. Fill out the NEW online registration form and accompany it by confirmation of being in Grade 6 (made in person at the Gray Family Eau Claire YMCA ). This could be a copy of your child’s Grade 5 report card or a signed letter from a school administrator or teacher. 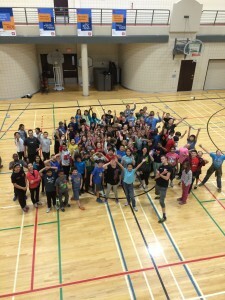 Check out the Lip Dub that was done by the Leadership students at Crowfoot YMCA! They did the Lip Dub to Taylor Swift’s song “Shake it Off”. 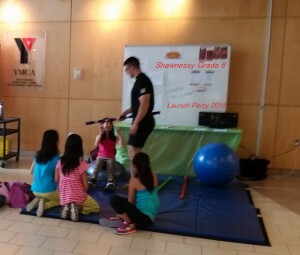 The grade 6 launch party was a great success with lots of people coming to the facility and participating in different activities! Keep an eye out for more special event! Octobers activity schedules for October will be up soon, for your individual facility please check here. Master Chef Challenge – A Success! 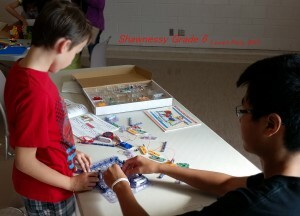 On September 26, 2015 Crowfoot YMCA had a Master Chef Challenge event for Grade 6 members. There were 10 teams of Master Chefs who worked together to create delicious desserts. It was a blast! 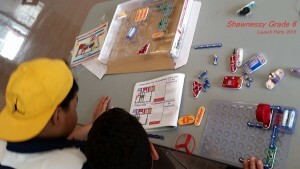 If you are in Grade 6, make sure you register for our next free event! We are having a Halloween Party on October 24th! See you there! Grade 6’s Blew the Roof Off! Eau Claire was BOOMING this past Friday as our Grade 6’s congregated on the third floor to celebrate the past 10 months we’ve spent together. What a truly amazing year we’ve had! Between impromptu gaga ball face-offs, nutrition workshops, tournaments, dance parties, Lego sessions, and cooking classes, it seems we have done it all at the YMCA! This past Friday, we got all of our branches together for our Grade 6 Year End Celebration, and it was incredible! 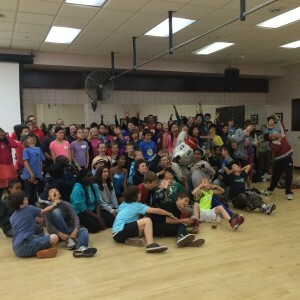 Even though we were rained out of our Riveredge site, we still managed to collect a whopping total of 122 grade 6 students under the Eau Claire roof! 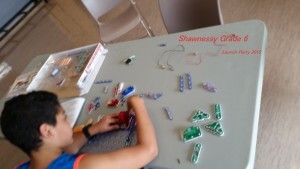 After enjoying some pizza and veggies, we split off into groups and participated in a variety of different stations. All our grade sixes got to try a little bit of everything; from Lego, to Kin ball and team building, to the first ever YMCA dance-rap-karaoke party! We even got to meet Harvey the Hound and former Flames defenceman, Rhett Warrener! The best part was having all of our members come together and experience something new with their fellow branches. All of us were excited to be a part of something so different – and we ensured that everyone in the building knew it! 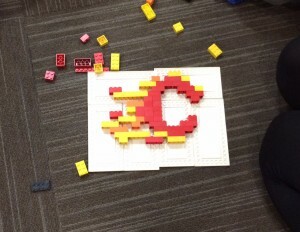 We are the first cohort of Calgary YMCA’s Grade 6 members, and we made sure to sign this school year off with a bang! Summer is just around the corner and we are all bustling with the exciting opportunities that await us! To find out more information on what your branch is doing this summer, take a look at our Activity Page or contact your Youth Coordinator! Thanks again to all of our lovely grade 6 members who have made this year at the YMCA one of our most memorable! And thank you to all of our incredibly dedicated staff and volunteers as well as the Calgary Flames Foundation for Life for making this year happen! Without all of us – staff, members, and supporters alike – this year’s success would not have been possible! Calling all Grade 6 Members!! 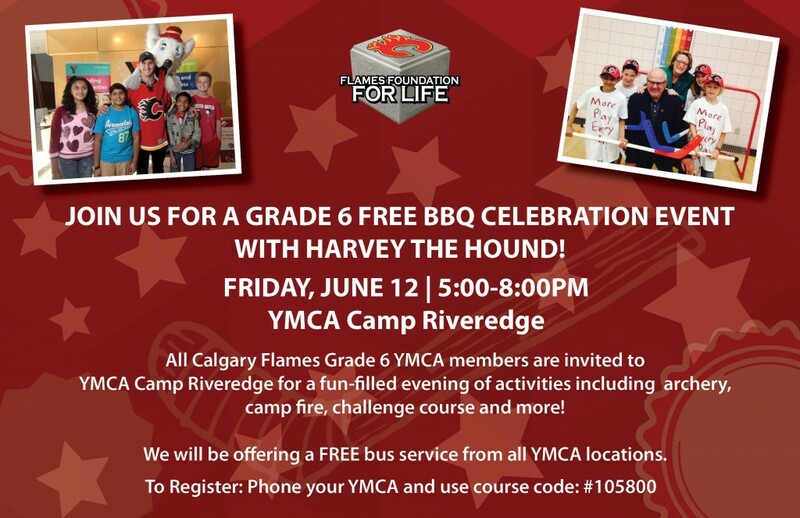 Join us on June 12th from 5:00-8:00pm for a free year end celebration at YMCA Camp Riveredge! We will be offering free food, games, and activities for all of our grade 6 members to celebrate the end of their grade 6 year. All are welcome to attend this fun, free event! Each branch will be offering transportation to and from Riveredge on the day of the event. We will be meeting at Eau Claire at 4:30 for the bus. Registration is required; please be sure to fill out and return the Eau Claire Registration Form! If you are from another branch, forms will be posted to our Grade 6 Activity Page within the week. Should you have any questions or concerns, please feel free to contact Sarah Thornton at 403-781-1685. We hope to see you all there! Join us at the Eau Claire YMCA as we embark on a new culinary adventure! 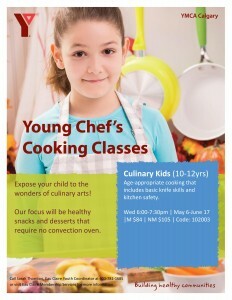 Participants from the ages of 10-13 are welcomed to register for this class and enjoy the art of cooking! Participants will get to experience the joy of substituting ingredients in their recipe, learning knife skills, practicing reading recipes and labels, and learning to make healthy decisions when it comes to ingredients. Program runs every Wednesday from 6:00-7:30pm and begins on May 6th. If you are interested in registering for this program, please click here to download a registration form and return it to Eau Claire. 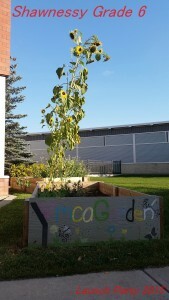 Grade 6 is a great time for exploring and learning about your community. Often times, however, we find that youth around the grade 6 age become apathetic towards physical activity and community engagement. The Grade 6 Memberships were created to help combat this apathy. 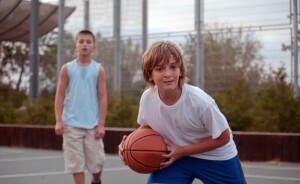 But what else can we do to keep active and stay involved over the summer? 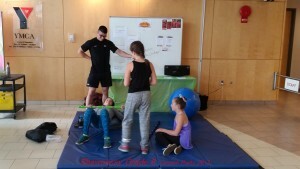 The Eau Claire Y has decided to create a program that gets our Grade 6 Members out into the community once a week to learn more about what it has to offer! We will be meeting every Wednesday to explore our community and get involved in new and interesting ways. From community art projects to capture the flag, Eau Claire’s STARS program will have it all! In STARS, Students Thrive and Reach for Success! 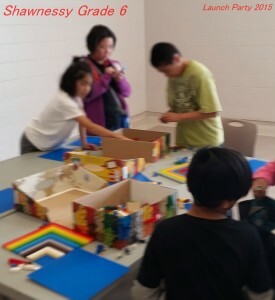 This program is free for all of our Grade 6 Members and will be registered by the week. Program is scheduled to run every Wednesday from 9:00am-2:00pm. A schedule for the summer is being created and will be posted on the website once it has been finalized. If you are interested in participating in this fantastic opportunity, please download a registration form by clicking here! Please fill out the forms and return the to the branch as soon as possible. Spots for the program are limited and are on a first come first serve basis. Eau Claire is hosting another Grade 6 Basketball Tournament! Join us on Friday, April 17th from 6:00-8:15 PM to participate. Teams of 6 will be competing in a 4-on-4 style competition. Prizes of all sorts will be awarded to participants. In addition, the top two teams will win Eau Claire Jerseys and be awarded the opportunity to compete for the Inter-Branch Trophy at the City-Wide Championship game on May 1st. Participants will be provided with drinks and light snacks on the day of the tournament. Families and friends are invited to attend to cheer their player on! All youth ages 10-13 are invited to participate – register now for the opportunity to represent your branch! Those who wish to participate but are not members must pay the $4.00 drop-in fee on the day of the tournament. Participants are welcome to sign-up as a full team, as a single player, or as a partial team. We will do the best we can to accommodate teammate requests, however we cannot make any guarantees. To access a registration form, click here, or speak with a representative at Member Services. Forms must be submitted to the branch no later than Thursday April 16th! !